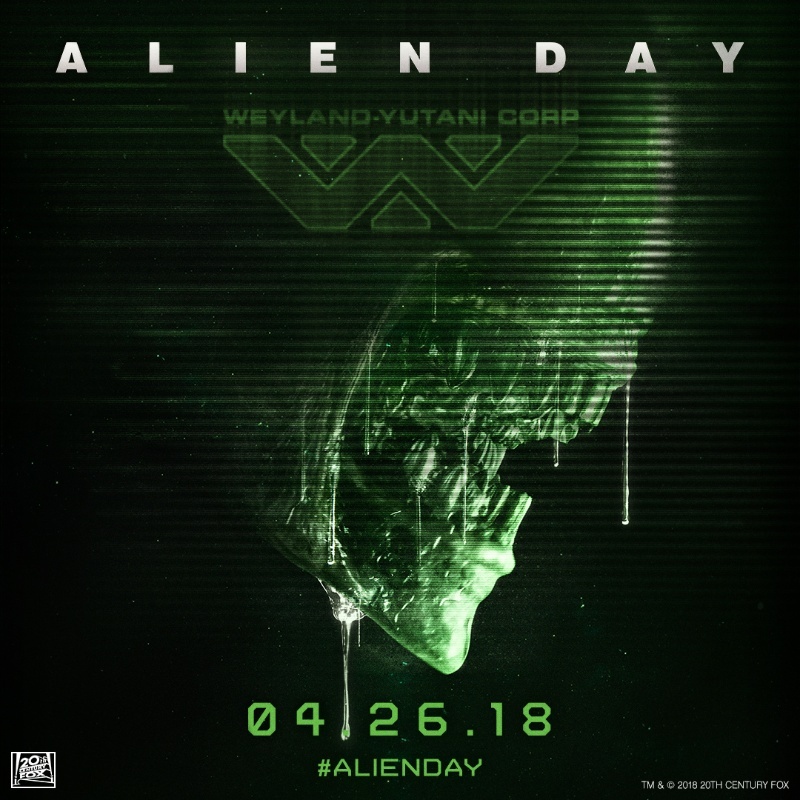 Alien Day 2018 Press Release and Info! Hold your breath and grab on tight as we re-enter the ALIEN universe -- ALIEN DAY returns on April 26, 2018 for an epic third annual global celebration of the iconic sci-fi franchise. In addition to the below activities to celebrate the franchise, a first of its kind initiative will be announced leading up to #ALIENDAY to launch on April 26th. Beginning today, Shop.FoxMovies.com unveils all-new apparel commemorating Dark Horse’s upcoming Aliens: Dust to Dust comic series which launches later this month.In preparation for ALIEN DAY fans can shop from a wide selection of never-before-available Alien merchandise onShop.FoxMovies.com. Additionally, the first 50 customers to purchase select ALIEN merchandise will receive the FIRST copies of Aliens: Dust to Dust #1. 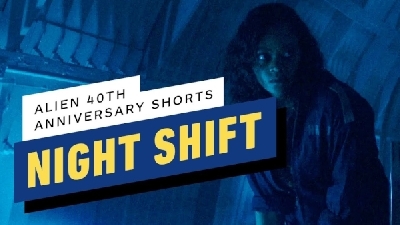 Leading up to ALIEN DAY, Twentieth Century Fox Home Entertainment will make every film in the ALIEN franchise available to own digitally for $4.99 through the “Movie of the Day” app. This includes Alien (4/21), Aliens(4/22), Alien3 (4/23), Alien: Resurrection (4/24), Prometheus (4/25) and Alien: Covenant (4/26). Gamers can win Alien franchise movies on Blu-ray and other fantastic prizes by competing in Zen Studios’ AliensPinball FX3 tournament! Everyone who plays the Aliens table on Five-Minute Mode between April 26 and May 3 is eligible, with the best prizes going to those who top the leaderboards. Players can download Pinball FX3 for free on PlayStation 4, Xbox One, Nintendo Switch, Windows 10 or Steam. The Aliens table is part of a three-pack known as Aliens vs. Pinball, which also includes tables based on Alien vs. Predator and Alien: Isolation. Immerse yourself in the horrors of the ALIEN Universe from the safety of your home. 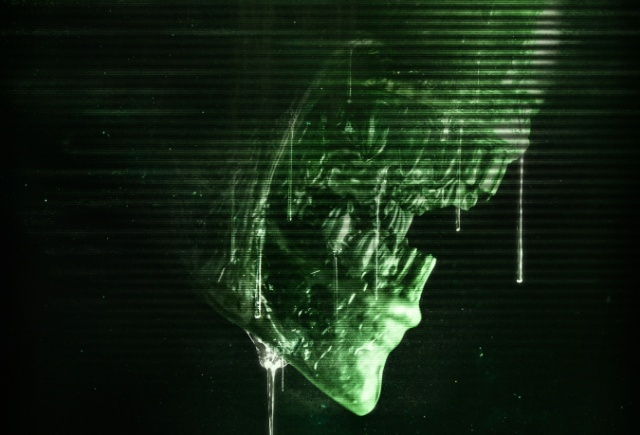 Binge your own ALIEN marathon as HBO On Demand, HBO GO, and HBO NOW will offer a special presentation of the franchise films including Alien (Director’s Cut), Aliens, Alien3, Alien: Resurrection, and Alien: Covenant. Plus, fans should stay tuned for special merchandise announcements, limited edition releases, giveaways and exciting unveils to take place on and in the days leading up to ALIEN DAY. Among the key licensees returning to the ALIEN DAY celebration include Dark Horse, Eaglemoss, The Loyal Subjects, Fright Rags, Geek Fuel, Mattel, Super 7, Diamond Select, Wonderdice, Park Agencies, Heighway Pinball Limited,Titan, NECA, Mondo, Prime 1, Trevco, Changes, Funko and more. Fox Consumer Products is also partnering with multiple retailers including Books-A-Million, 2nd & Charles, and ThinkGeek which will showcase exclusive ALIEN franchise merchandise, celebrating the day with in-store activations, and social media sweepstakes. For more information on all ALIEN DAY activities, go to www.AlienUniverse.com. Fans can also join the #ALIENDAY conversation onTwitter, Instagram, and Facebook. 12 Fan responses to Alien Day 2018 Press Release and Info! The only thing I care about out related to A L I E N is the sequel to Covenant. Aside from that, I don't care one bit. Already own all the films. Just make the next one happen so we can close the loop Ridley! A bottle of Laphroaig it waiting for you! 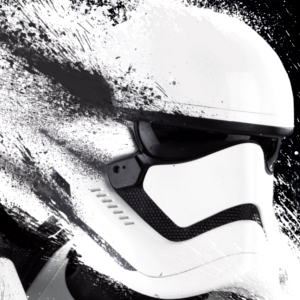 Hopefully some News on the Franchise Future? Even if they announced they would be making a Novel set between Prometheus and Alien Covenant, they could Gauge the Reaction to such a Novel as a basis of if the David Direction is whats needed next... or something else. Sorry but I have no interested in such a novel, so if Fox reads they know my opinion. I just thought if done well, it could touch upon some things, and responses could be met by fans regarding the content, but i guess really FOX/Disney dont really need such a Novel as they can Gauge what is put on here and other places in regards to whats needed. After Prometheus they Gauged that Fans was disappointed with the Space Jockey/Engineer, following the Story/Wishes/Questions of Dr Shaw, the Lack of Answers to Alien and the Xenomorph Origins, and that the movie lacked any Eggs, Face Hugger, Chest Buster and Xenomorphs... or related (the Trilobite, Deacon and Hammerpedes not good enough).. 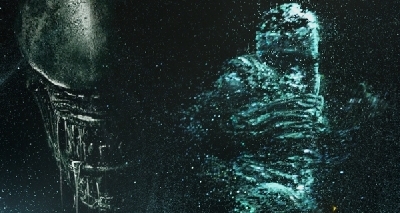 So the only things that appeared to be taken as positive was the Black Goo, how does this connect to the Xenomorph, and Davids Character. Everything else in general the Fans felt needed to be improved or introduced. And so ALAS we had Alien Covenant.... where now we have these problems... Some Fans were disappointed at the lack of Engineers or exploration of their kind, Some Fans were disappointed in how the Xenomorph was handled... and the BIG issue seems to be the reveal that David is the Creator of the Xenomorph and his reasons for doing so. Look BigDave, I'm not a fan per se of anything. I don't buy toys, comics, novels, and I live in Eastern Europe where almost every pirates movies. Prometheus was one of movies I went to the cinema, bought the DVD and re bought it on 4k blu-ray on day one (from the British Amazon as Fox does not bring this format to my country) and was looking forward to the sequel, which I have expected to at least have some kind of nuance. Sorry I did not find nothing like that in Covenant, a story about a Megalomaniac tyrant against some generic horror fodder. (I think that it would have been very nice a scene where David would have wanted to remove the WY logo from his finger but it would have always regenerate). And they thought stealing from Hannibal Lecter would be a good idea, but that character was only great in opposition to Foster's Clarice. Do you think Hannibal would have killed/raped Clarice, of course not. So I might be disposable for Fox, but that's it, more money for me. PS: Let the Alien formula (Land on a foreign planet, get infected, aliens appear, kill people 1 by 1) die already. Well, someone I won't mention here, pointed out how ignorant I am, so I had to change the name to fit the new revelation. I was worried that, after joylitt, you left the forum too. It's always reassuring to see old friends around. Well you should have been more attentive to where I explained the name change and you would not have to be worried, my dearest friend. The Space Jockey was a Enigma, a Mystery it was awe inspiring, the Atheistic of the Ship, the Size of the Pilot and leaving us Wondering what Purpose would such a being have with that Cargo. 1) Did the Space Jockey discover the Cargo, and Curiosity got the better of him after he had (by what ever means) loaded the Cargo onto his Ship. If this was the case, did the Space Jockey have any prior knowledge of the Xenomorph prior to those Eggs getting on the Ship, or was this the First Time the Space Jockey had encountered them? 2) Did the Space Jockey Race Engineer/Experiment or Create the Xenomorph, and if so was it a Creation from Scratch, or something they had Modified/Engineered based off something else they had encountered? 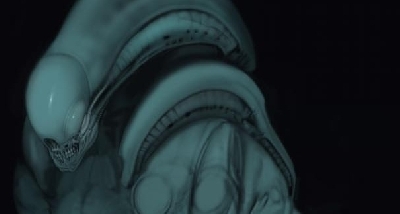 And for what Purpose did they Create/Engineer the Xenomorph Eggs? 3) Was the Space Jockey some kind of Slave for another Race/Being as far as the Relationship with the Cargo, or was there a kind of Symbiotic Relationship. 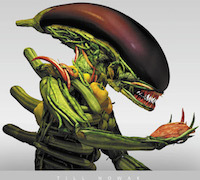 Because the Derelict and Xenomorph Organism did seem to share a Aesthetic look. 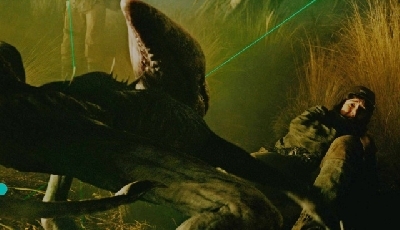 Ridley Scott had confirmed the relationship was the Egg Cargo was a Bio-Weapon used by the Space Jockey but he for many years gave no real details. He did have the idea of some connection between the Xenomorph and Space Jockey were we would be off to a very Alien (Bio-mechanical)World but he never got far as any real production on such a idea. We then FLASH FORWARDS to the Prequels and Alien Engineers takes the Option 2 route, they also then threw in the CURVE-BALL that the Space Jockey Race are actually Alien Beings, Creators and the Race who mankind had interpreted as Gods... The Xenomorph being a Weapon they would use to Eradicate Failed/Rebellious Experiments/Creations. Prometheus Evolved from this and decided that actually we DO-NOT need any Xenomorphs or Answers as per-say but loosely touch upon the Bio-Warfare these beings had created to deal with a Wayward Creation and to explore the Creation/Gods themes more. The Space Jockey was relegated to being a 7.5ft Tall Suited Humanoid, and while interesting, it just lacked the AWE inspiring Nature and Mystery of the Space Jockey..... But these could be explored more in a SEQUEL.. 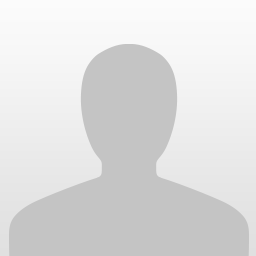 Were our Engineers are not painted as being even more Human, and brushed under the Carpet, Relegating them even further from the Mystery and Enigma of the Space Jockey. 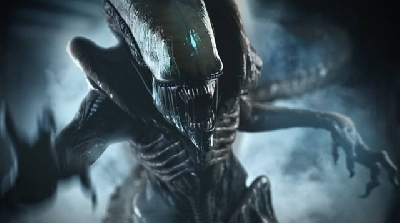 We are given the Xenomorph Origins.... but again its role is merely a Creation that is Created to be used as a Destructive Force against Mankind, but only this time... The CURVE-BALL is the Organism is a Creation of the Human Created David Android... its interesting and fits with the Philosophical Themes Prometheus was exploring... But on the other hand, it brings the Xenomorph to be something that is FAR from Ancient and really does not Stand Up to the Enigma of the Cargo of Eggs we FIRST DISCOVERED in ALIEN. The Xenomorph was also not used well in the movie too, it failed to live up to the Stealthy Alien in ALIEN and also the Action was no-where near as good as ALIENS and we basically got a Rushed Alien 3 kind of encounter. So its stands NOW that the Xenomorph and Space Jockey are FAR from ALIEN as the Original Image we had in our heads the VERY FIRST time anyone sees the Derelict/Space Jockey and Egg Cargo Scene in ALIEN. THIS ^^^ Last Paragraph is the Problem we are dealing with, and Totally different to how many could have envisioned. "Were our Engineers are not painted as being even more Human"
I cant seem to Edit, as the Edit page is blank... so i meant to say Were our Engineers are NOW painted as being even more Human. Option 1) Was pretty much the Relationship between the Cargo and Derelict and Pilot was in STARBEAST. Option 2) Was pretty much where Alien Engineers and then Prometheus had taken us, with Alien Covenant then throwing in the David Creator Curveball... which is a big disappointment for the Majority of Fans. 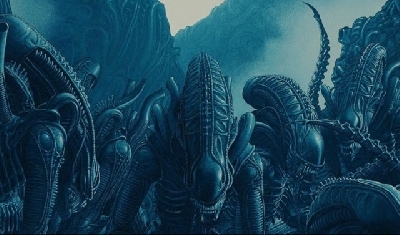 Option 3) Is where i think there is SAVING GRACE for the Franchise, by exploring this, with Unused Elements from Star Beast and taking into account the ideas that HR Giger had... while the Prometheus Themes could still apply as to Rebellion by the Engineers. This was in part what i was going to introduce in my 3rd Part of Prometheus, after working on my Canceled Prometheus 2 Project.